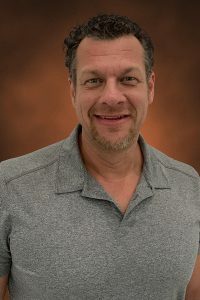 Kevin Scott Wilton – RUSH, Inc.
​ As a project superintendent at RUSH Construction since March 2019, Kevin Scott Wilton is responsible for coordinating all construction services and activities on the job site, as well as maintaining a strict build-out construction schedule, making any changes necessary to ensure that deadlines are met. After growing up in Orlando, Florida, Wilton lived for several years in Brazil, and then also in North Carolina and Colorado. He has three children; two sons and a daughter, and enjoys working out, four wheeling, road course racing, and drag racing.